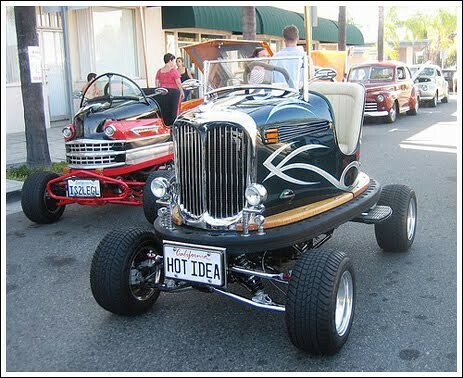 Though the typical 4-wheel all-terrain vehicle (ATV) that most of us know, has only been around since the eighties, in that time ATV buffs have found many cool and unusual ways to soup up their rides. 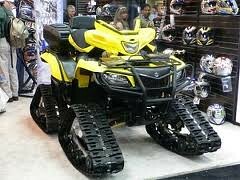 Transforming their wheels for function, style, or overall WOW effect, here are 17 awesome ATV mods and some facts you may not have known about ATVs. Did you know? In South Carolina a recent bill known as "Chandler’s Law" has been changed to allow children as young as 6 years old to operate an ATV. Like any child under the age of 16, they are required to pass a hands-on ATV safety course beforehand. Did you know? The first AATV (6x6) was released in 1961 and called a Jiger. 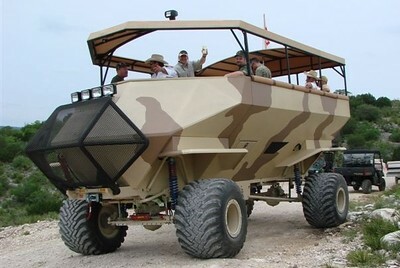 It was 6 wheel drive and inspired by amphibious vehicles (vehicles that could travel on land and water). With two engines, six wheels and a boat body, despite strong demand, production of the Jiger ended in 1968. Did you know? 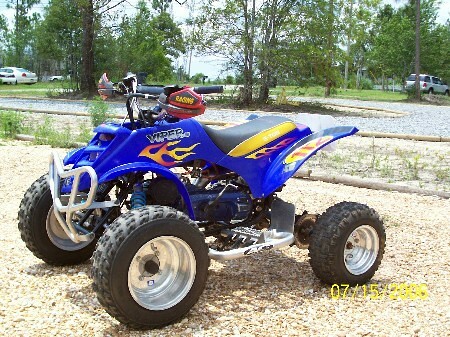 Four wheeled ATVs are most commonly called "quads". Did you know? 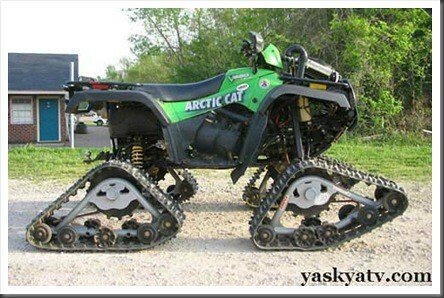 This ATV was made using a TJD Cat Track Kit which can pull up to 5 times the weight of standard tires. The tracks are 96" long and 12" wide. Did you know? 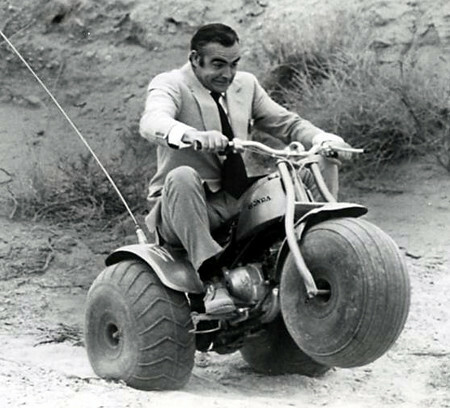 Honda made the first three-wheeled ATVs in 1970, which appeared in the James Bond movie, Diamonds Are Forever. Did you know? 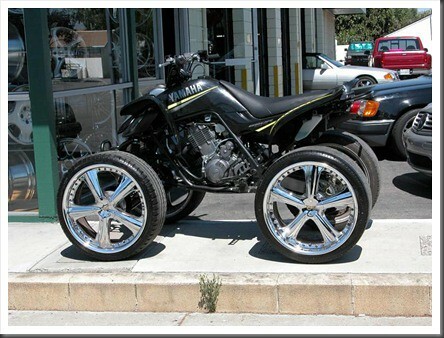 The first ATV to be released to the public was the Suzuki QuadRunner LT125 aka “the first on four wheels” in 1983. Did you know? 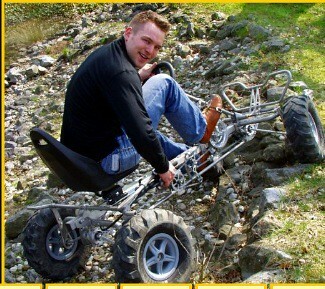 The pedal-powered "TrailCart" (pictured above) is the world’s first pedal-powered four wheel drive all terrain vehicle. The cart is entirely human powered, giving you "all the fun of an ATV with the pain of having to power it yourself." The energy from your pedaling power is transferred to all four wheels at once, making it possible to traverse even the roughest off-road terrains. Did you know? 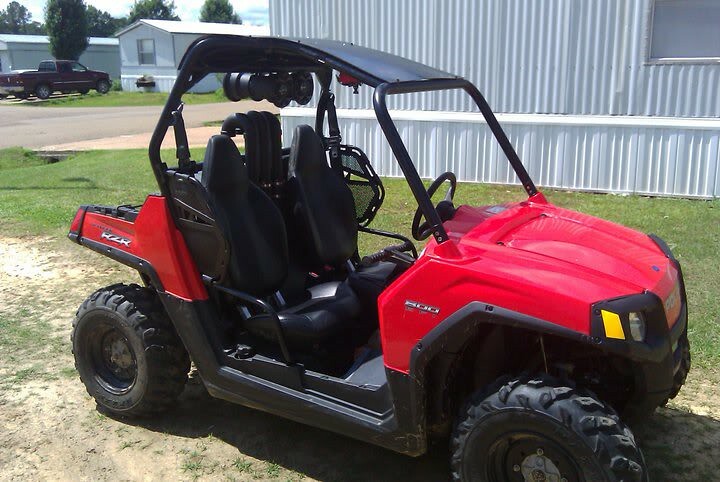 ATVs didn't have brake lights until around 2004. Did you know? 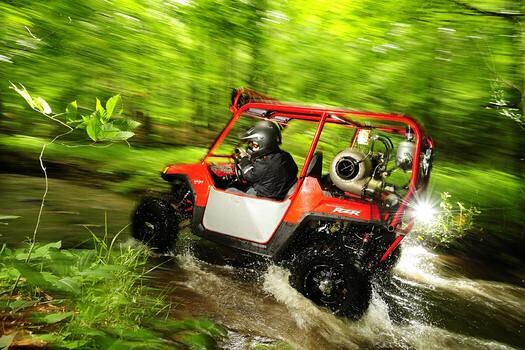 That in 2003, Honda’s FourTrax Rancher GScape became the world's first ATV to offer a built-in Global-Positioning System (GPS). Did you know? 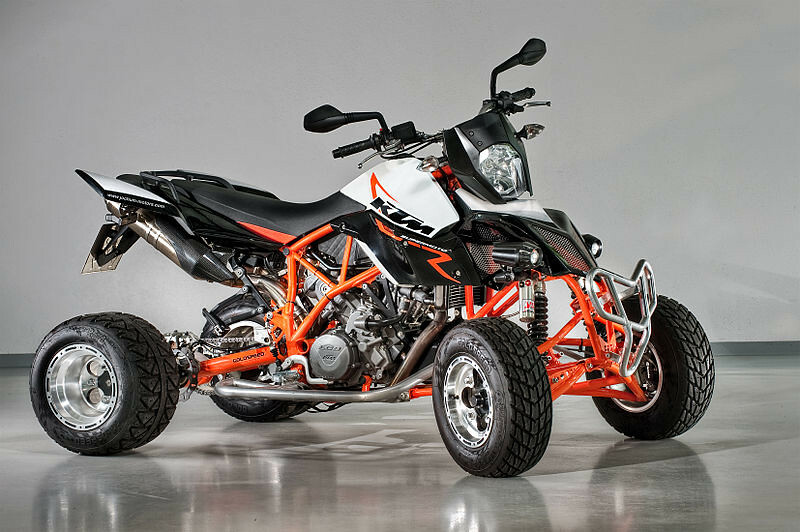 That due to safety issues associated with 3-wheel ATVs, all ATV manufacturers had to upgrade to 4-wheel models in the late 1980s. Did you know? 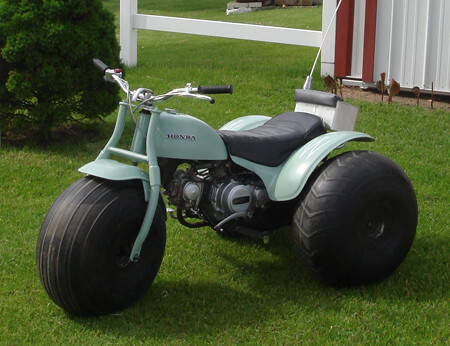 That 3-wheel model ATVs ended production in 1987. Did you know? 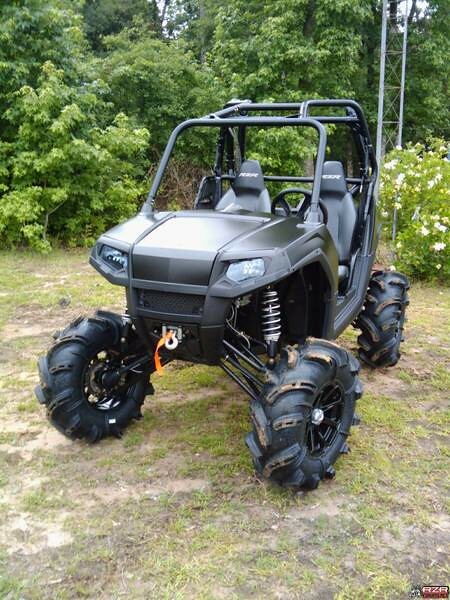 The Cat Daddy Arctic Cat 500 ATV (pictured above) won the "Bad 2 Da Bone" competition at the Mud Nationals in Jacksonville, Texas. Rightfully so. 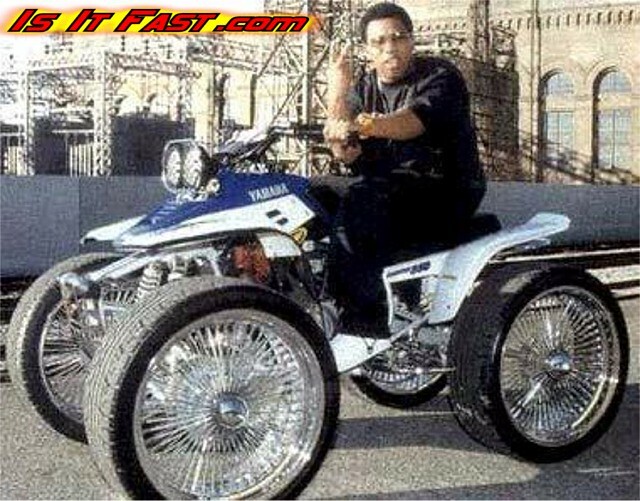 "Cat Daddy" is reportedly the biggest ATV around with a seat height of 5 and 1/2 feet, handlebar height of 6 feet, and when sitting on it your head and shoulders are 8 feet high. Did you know? 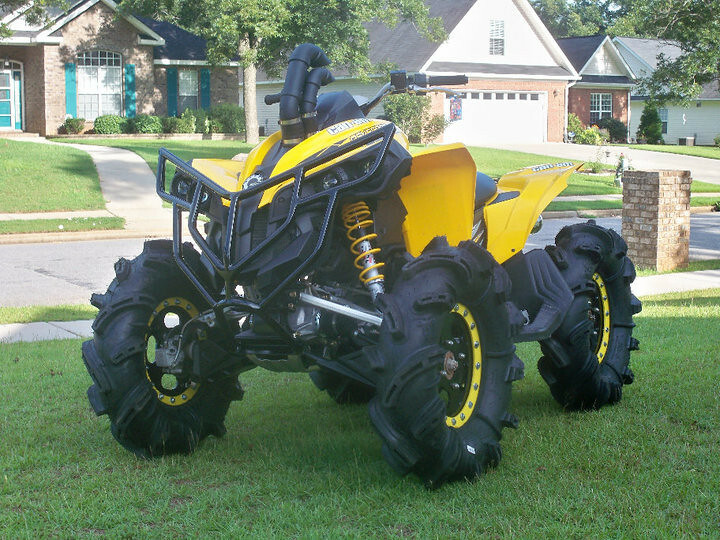 ATV Snorkels, used for riding in deep water or mud are one of the most popular ATV accessories. 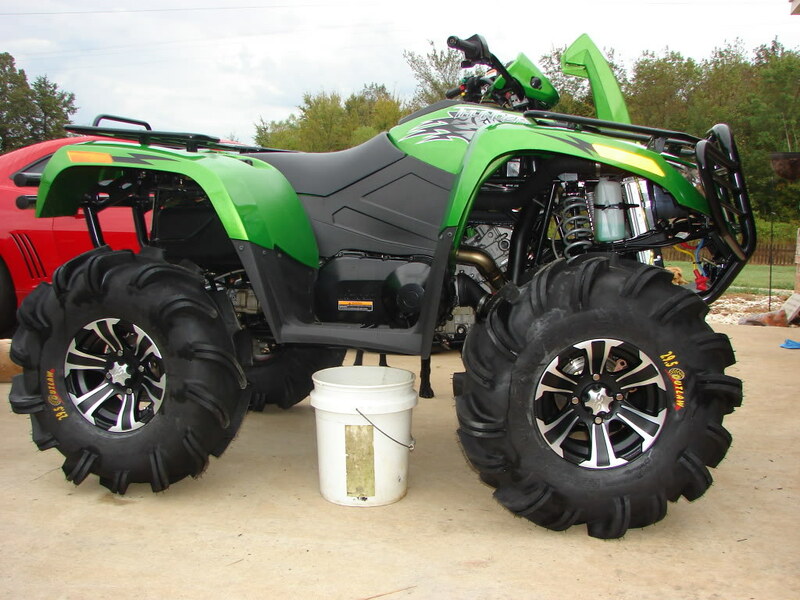 Most ATV snorkel kits cover the airbox inlet, the clutch/belt housing intake and the clutch/belt housing exhaust. Did you know? Yukon is the last province or territory without an ATV helmet legislation or laws governing the operation and use of off-road vehicles. Did you know? 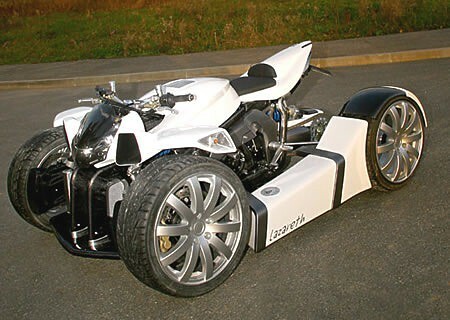 The photographer from Popular Science Magazine installed a gas turbine engine on a Polaris RZR in order to create this jet-powered-quad. The vehicle tops out at 60mph. Did you know? ATVs are more dangerous than dirt bikes but equally as dangerous as motorcycles. It’s important to be safe and responsible when operating this off-road vehicle. Did you know? This replica of the Honda US90 (pictured above)driven by Sean Connery in the 1971 classic Diamonds Are Forever was re-created by a company named Vintage Motorsports. 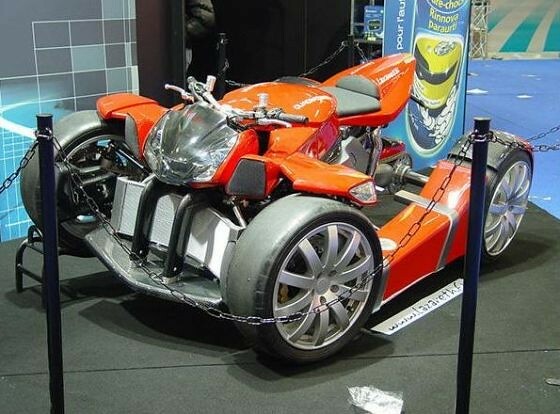 Three of these ATVs had been featured in the movie, but after production ended, Honda took back two of them and destroyed them. The last remaining US90 was stored in England until Vintage Motorsports was asked by the Ian Fleming Foundation (a museum for many of the James Bond vehicles) to restore the bike. Have you got a quad mod you’d like to share? Drop us a comment below about yours!